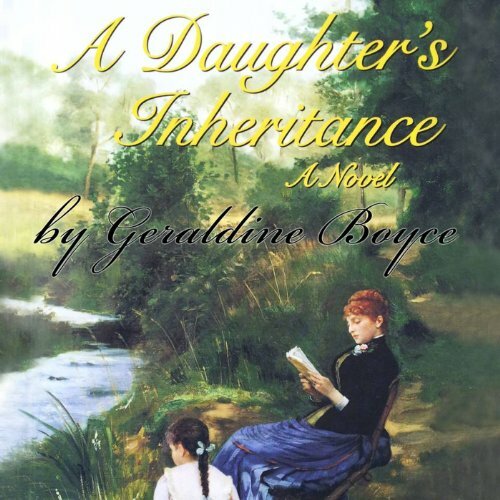 This epic novel, which spans six generations of mothers and daughters, begins in 1815, during Britain's war with Napoleon, and ends after World War II. These life stories, knitted together into an ongoing family saga, show the vast changes to English society. These women were witnesses, participants, and survivors through the Regency Period, the Victorian Age, the Industrial Revolution, and on into the twentieth century, with its world wars and social reforms. At the heart of the novel are the lives, loves, and social causes of six strong women-Violet, a kitchen maid; Amanda, her illegitimate daughter who marries an aristocrat; Felicity, a pianist who dreams of marrying a duke; Norma, the battered wife of a wealthy scoundrel; Prudence, a women's suffragist and social reformer; and Christine, a World War II photojournalist. As different as each of these women is from the others, they all remain true to the motto coined by Violet, who wished a better future for her daughter: "Grasp every opportunity that life offers you." The premise for this book and the story line, although not original, could have been a great tale with broad character development. Stories that span generations should be epic. This one was not. It started out well but soon some of the characters became so haphazardly and thinly sketched you had a difficult time keeping track of who begat whom. At times the story seemed so rushed I felt like the author just wanted to be done with it. People came and went so quickly, their lives barely touched upon and their story left untold. Often the dialog was vapid and juvenile and very poorly written and did little to move the story forward. It also became clear that little, if any research was done to properly address the language and social norms of the time period. I wanted to like it, because this is one of my favorite genres. Few things are more enjoyable than being totally consumed by a story and its characters and being transported to a different place and time. This one failed on all levels. I see there are some stellar reviews. Maybe the reviewers haven't read truly great epic novels so they have lowered expectations. It's not really a waste of a credit, but I also wouldn't recommend it to anyone. The narrator was excellent, but could not save the story from itself.